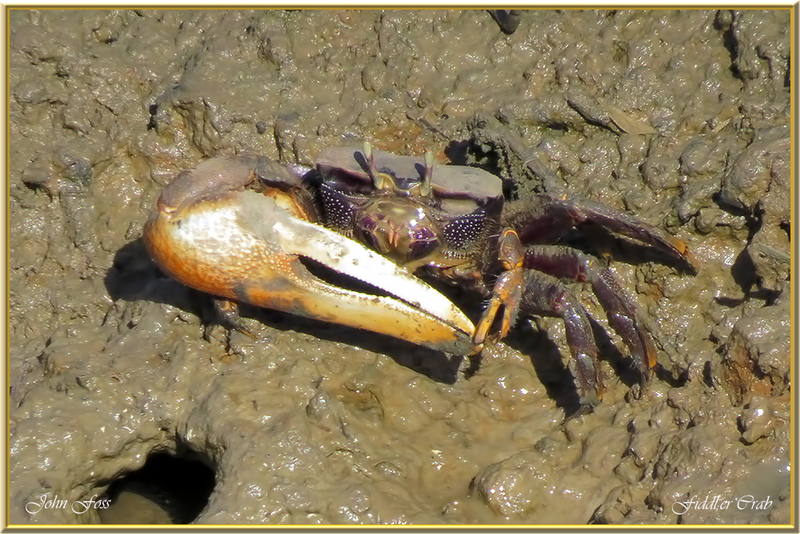 Fiddler Crab - Sometimes called the calling crab. The first video here probably explains why! There are well over a hundred species of this crab! 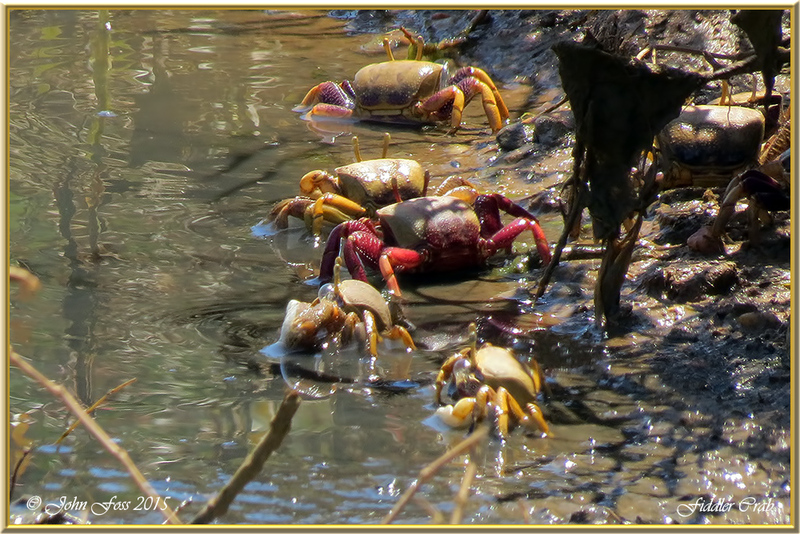 These were fascinating to watch at low tide on the Alvor estuary in the Algarve Portugal. They only live for a very short time, around two years. The larger claw is used for signalling whereas the smaller claw is used for feeding. They collect sand into the mouth and filter any food from it they can. I also came across them at Cacela Velha beach near Cabanas de Tavira in Portugal.